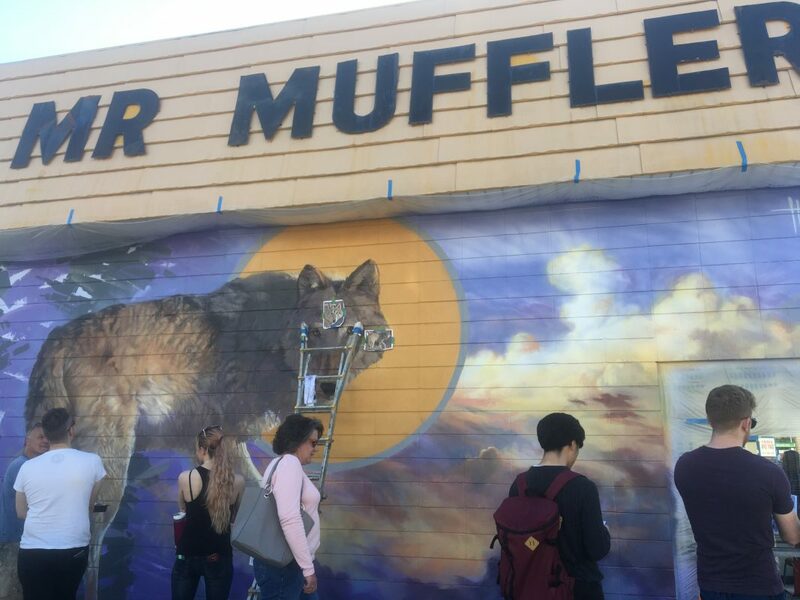 Billy Hensler, an artist from Provo, UT, painted this massive wolf on the east side of the Mr. Muffler building in South Salt Lake as part of the first-ever South Salt Lake Mural Fest. Hensler has been painting murals as his “day job” for years and said it all started when his parents let him paint whatever he wanted on his bedroom walls because they were sick of his Kiss posters. He painted a jungle scene with a tiger in his childhood bedroom; now he paints other wildlife scenes for cities and companies like Cabela’s.